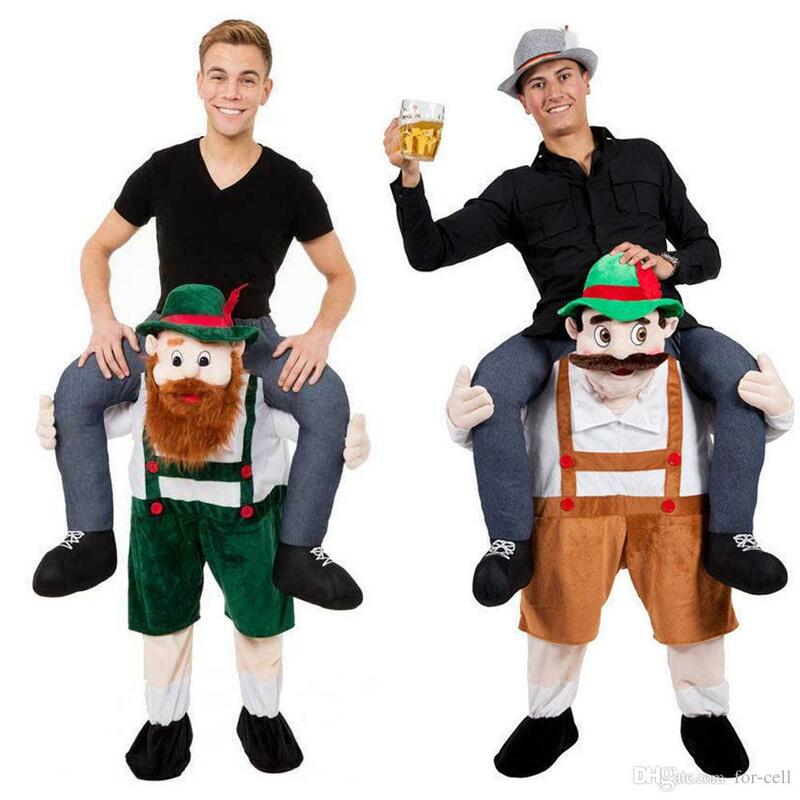 Funny Carry me lederhosen costumes for hire this Oktoberfest. 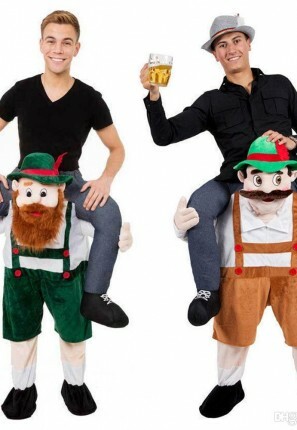 This ride on costumes poke fun at the traditional German lederhosen costumes. For a funny twist to wear to your Oktoberfest beer drinking festival. Costume consists of Carry me lederhosen in either brown or green.